The European LOL Championship Series (EU LCS) is replaced by the LOL European Championship (LEC) for 2019 and onwards. The European league has joined the likes of LPL and NA LCS in franchising the league, meaning that the promotion and relegation has been removed. All of the teams competing has bought their way in and have been approved by Riot Games as owners. 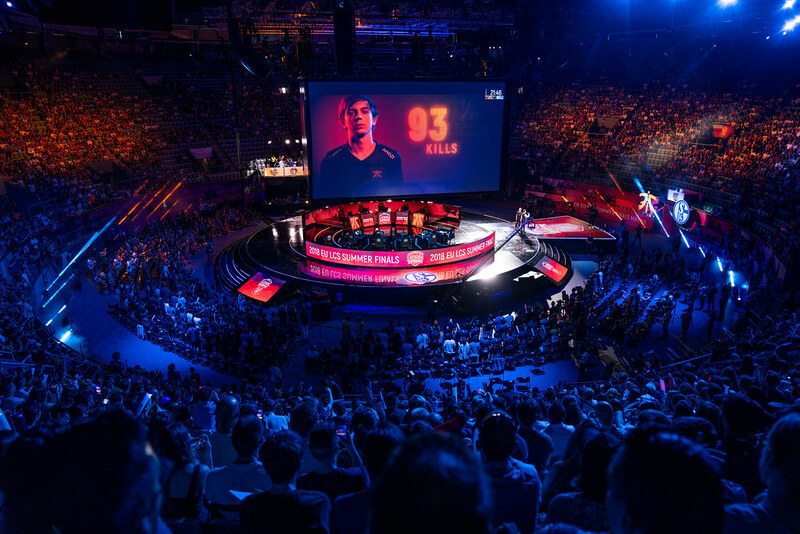 The European Championship will continue to be broadcasted and played from the studios in Berlin as they have been in the EU LCS. The action is set to kick off on the 18th of January of 2019. 2018 was the year Europe made enormous strides when it comes to international competitiveness. It was a year filled with incredible, high-octane League of Legends but also unimaginable upsets, narratives, twists, and turns. While things did conclude in a somewhat expected manner, the path towards that ending was anything but expected. One thing is for certain — the gap between the East and the West is closing. Now yes, that’s a cliché phrase that’s been overused by various League experts and analysts but this time it’s actually happening. With the LCK hitting a very concrete low point, regions like the LPL, LEC, and even NA LCS have the chance to not only catch up but overtake the perennial League titans. That’s one of the main reasons as to why 2019 is one of the most anticipated years in competitive League of Legends history. Korea is looking for redemption (or revenge, depending on how you look at it), the LPL is looking to remain at the very top, the LEC was inches away from lifting the Worlds trophy and they want another shot, and finally the NA LCS had a team in the Top 4 ever since 2011. In a way, every region improved and performed leaps and bounds above what anyone expected at the beginning of the year. We’re finally entering uncharted territory when it comes to who dictates the meta. No one is safe and there’s no undefeated overlord at the very top of the mountain. The giants have fallen, and even though the LPL emerged as a worthy heir to the throne it’s still too early to proclaim an era of LPL dominance. When it comes to the EU LCS, a lot has changed. First of all, it’ll no longer carry the “EU LCS” moniker, but will instead become the LEC, or League of Legends European Championship if acronyms aren’t your thing. With the whole region getting franchised, Riot EU wanted to distance themselves from the North American LCS, as both regions carried a similar name as well as overall design language. With 2019 onwards, the LEC will carry a more vibrant color scheme, faster animations and motion graphics as well as a more youthful approach when it comes to presentation and broadcasting. All of this is a fresh, new start for one of the best performing regions in the world, and quite frankly, it’s long overdue. So without any further ado, let’s focus on each franchised organization and starting line-up in order to see who has the biggest chance of lifting the inaugural LEC Spring Split trophy. Do have in mind that this is just a preliminary power ranking based on each roster, and that a huge power shift can occur in a matter of weeks (if not days), so make sure to follow how the Spring Split develops closely. Not seeing one of these six teams in the playoffs by the end of Spring Split would be a real shock. While anything can happen in competitive League of Legends, these teams have the biggest chance of making it into Top 6. For our number one team we have none other than Fnatic. While this might come as a surprise seeing how they lost their star mid laner Rasmus "Caps" Winther, they were still able to retain all the tools that are necessary in order to compete at the highest possible level. That said, things got harder by a considerable margin. Not having the best mid laner in the region (and one of the very best in the world) will seriously hinder their performance, but it’s nothing Fnatic can’t handle. They still have the best players in each and every role, or at worst Top 2. Their newest addition, Tim "Nemesis" Lipovšek is entering a roster that’s filled with four seasoned veterans. They have not only played on the biggest of stages but they maintained an incredibly high level of play throughout 2018. They’ve been through it all, the sensational triumphs as well as crushing defeats — and they’re better for it. Speaking of Nemesis, while his playstyle isn’t as flashy as Caps’, he’s still a highly capable young player. He’s a great laner as well as team fighter, and while he won’t be able to fill the void immediately, he should grow and become exactly what Fnatic need. If there is one team in the region that’s capable of grooming young rookies into the stars of tomorrow then it has to be Fnatic. Furthermore, Nemesis won’t be the primary carry for his team, at least not in the beginning. While it’s still too early to tell for sure given that we don’t know how the meta will pan out, but he has both Gabriël "Bwipo" Rau and Martin "Rekkles" Larsson to do the heavy lifting on opposite sides of the map. Rekkles didn’t have to hard carry as much throughout 2018 seeing how Caps popped off more often than not, but we know for a fact that he’s as threatening and capable as ever. Fnatic has the right tools in order to stay at the top. While the competition did get stiffer coming into 2019, they still have built-in cohesion, and that should be the determining factor. That said, they could potentially struggle against the likes of G2 Esports and Team Vitality who didn’t make huge changes either. Next up we have G2 Esports. The former “Kings of Europe” are looking to reclaim their throne coming into 2019, and they have a very good chance at doing so. Their 2018 run was filled with ups and downs, but they still did far better than anyone expected them to seeing how many changes their starting lineup had to undergo during the off-season. The fact that they managed to go through a complete roster overhaul and still reach Top 4 at Worlds is absolutely mind-blowing. That said, the only aspect of their play that left a lot to be desired was precisely their bottom lane. Petter “Hjarnan” Freyschuss and Kim "Wadid" Bae-in were good, and at times even great depending on how the meta shifted. But they simply couldn’t go blow-for-blow with the best bottom lane duos in the region. When you have such an obvious weak link in your roster, other lanes have to do exceptionally well in order to make things even. If G2 couldn’t create leads in the mid and top lane through Martin "Wunder" Hansen and Luka "Perkz" Perković then they simply didn’t have a win condition. So starting with the 2019 LEC Spring Split, they’re shifting Perkz over to the bottom lane. That wasn’t a typo. One of the best mid laners the region has ever seen, the guy that became known for his “lane kingdom” is transitioning over to the AD carry role. While that might seem like an absolutely crazy decision, it makes perfect sense. He’s been one of the best mid laners in the world for years, and because he’s been playing the most mechanically intensive role, he shouldn’t have too big of a problem moving down to the bottom lane. Furthermore, Perkz has been crushing it as an AD carry when it comes to solo queue games, and while that’s not exactly comparable to the LEC, it’s at least something to go by. He’s an incredibly talented player in every way, shape, and form and he shouldn’t have too big of a problem in going toe-to-toe with other established AD carries in the region. To accompany him in the bottom lane, G2 signed former Splyce and Misfits Gaming support Mihael "Mikyx" Mehle. Known for his deep champion pool and innate aggression, he seems like the perfect companion for Perkz in the bottom lane. Both players have a very aggressive playstyle, and they have the mechanics to follow through. If they actually do manage to play up to their full potential, G2 could become the most frightening team in the region. It’s not going to happen overnight, but they have the potential to make waves once the Spring Split starts. In any case, don’t be surprised if G2 lifts at least one LEC trophy in 2019. If they were able to go this far with a weaker roster, there’s no telling how high they can climb with an upgraded bottom lane. At number three we have Team Vitality. Putting them third feels a bit strange, especially seeing how Vitality became synonymous with inconsistency. When they do come to play though, there’s no stopping them. Their carnivorous “in your face” playstyle isn’t only fantastic to watch, but it’s hard to counter, especially if you don’t stop them from imposing it in the early game. They had serious ups and downs throughout the year, but once they signed Mateusz "Kikis" Szkudlarek mid-Summer, it was as if they were unlocked. Kikis brought an additional strategic element to their game, and it was the secret ingredient to their success. They became more cautious and subdued, but that didn’t stop them from going all-in whenever they saw fit. Watching them play was a thing of beauty. They’re all young, somewhat underrated and highly talented players that want to prove themselves. They also share a lot of the same values with their head coach Jakob “YamatoCannon” Mebdi — they’re stylish, they have a ton of bravado, and they’re not afraid of taking the path less traveled by. They carved out a very specific identity for themselves in 2018, and they’re one of the rare teams in the region that weren’t afraid of playing their own game — for better or worse. Coming into 2019, they made just a single change and it’s in the jungle position. They replaced Kikis with Afreeca Freecs’ Lee "Mowgli" Jae-ha, and it’s a roster swap not a lot of people saw coming. Mowgli was a solid performer back in the LCK (League of Legends Champions Korea) but he wasn’t earth-shattering. To be fair, the level of competition in Korea is far greater than the one in the LEC, but he’s not exactly entering the Spring Split with a ton of hype, which doesn’t mean he won’t perform well. By importing a foreign player they’re creating a language barrier, and teams often need a lot of time in order to overcome it. Not to mention the clash of cultures that’ll be present with his move over to Europe. Regardless, YamatoCannon must have seen something in Mowgli back when they were bootcamping in Korea, so they’ve probably made a very educated decision. We’ve seen the highs that Vitality can reach when they’re at the top of their game. All of their players are no longer rookies, and they’ve played at the biggest of stages in 2018. They’re entering 2019 with a ton of valuable experience, and they’ll surely be fearless from the very get-go. They only made just a single change to the starting lineup, so they’ll retain a lot of their existing synergy and overall team cohesion. That’s always the most important aspect when it comes to the Spring Split because teams need time in order to sync up. How high they’ll end up in Summer remains to be seen, but they should have a huge upper hand when the Spring Split begins because they’re bringing over their existing synergy from 2018. A single year can make a big difference, and no one knows it better than Misfits Gaming. They only needed one regular season to go from the Challenger Series to almost taking down SKT T1 in a Best of 5 barnburner at 2017 Worlds. After they nearly took down the LCK titans, they entered 2018 with a ton of hype, and even though they lost Tristan "PowerOfEvil" Schrage, things were looking bright for the young squad. Unfortunately, all of that hype came crashing down. Fast. Even though they made just a single change in the roster (Chres "Sencux" Laursen as their new mid laner), they were unable to retain the same level of play from 2017. And that might be an understatement. The fact that they failed to reach the playoffs in 2018 Spring came as a big shock. After all, they were overtaken by both H2K and Team ROCCAT, two teams that were only just assembled, whereas Misfits had an entire year of play behind their belts. Regardless, they persevered, and the coaching staff led by Hussain "Moose" Moosvi had full faith in their line-up. When the Summer Split came around it seemed as though their faith had been rewarded. Misfits went on an insanely dominant ten-game win streak, and for a moment they were at the very top of the region. But their success was just a flash in the pan. Even though they made it to the playoffs this time around, they were unable to leave a mark and subsequently missed out on Worlds. 2018 was a colossal failure for Misfits Gaming in every way, shape, and form. But all of that is a thing of the past. Coming into 2019, Misfits made some incredible changes to their roster, and quite frankly, they’re looking like the team to beat. To say that they have a frightening line-up filled with grizzled veterans and exceptional players would be an understatement. As for their changes, they signed Europe’s most renowned top laner Paul "sOAZ" Boyer, brought back Fabian "Febiven" Diepstraten (of Fnatic and H2K fame) from North America, and — perhaps most surprisingly — imported Kang "GorillA" Beom-hyeon, one of the best and most sought-after supports in the world. To top it all off, they retained Nubar "Maxlore" Sarafian who proved to be one of the best and most cerebral junglers in the region, as well as Steven "Hans Sama" Liv, the only young AD prospect (other than Vitality’s Attila) that managed to leave a mark over the last two years. This is a beastly roster in every conceivable way, and they have some of the best shot callers and veterans around, along with an AD carry that’s known for his mid and late game impact. If everything goes “according to plan”, this Misfits roster has the potential to win at least one LEC split next year. The only reason as to why they’re not ranked higher on this power ranking is because they’ll need time in order to develop synergy as a five-man unit. There’s an undeniable amount of talent within this roster, that’s for sure, but even the best squads need time in order to sync up. And when it happens with Misfits, they’re going to become a force to be reckoned with both regionally as well as internationally. Next up, we have Splyce. While this roster might not scream “championship material” at first glance, they have a couple of very capable players, and they’re nothing to scoff at. If we go back to Spring of 2017, both Tamás "Vizicsacsi" Kiss and Andrei "Xerxe" Dragomir played at an insanely high level. The former won “MVP of the Split”, whereas the latter took the “Rookie of the Split” award. Combined, Vizicsacsi and Xerxe proved to be one of the best and most capable top and jungle duos in the entire region. Vizicsacsi’s carry/bruiser play and Xerxe’s incredible pathing and intelligent ganking gave the Unicorns of Love an upper hand regardless of the opponent. Coming into 2019, Splyce is hoping to re-create some of that magic, and they could very well succeed. Rounding out the roster, we have Marek "Humanoid" Brázda, former Dark Passage and Illuminar Gaming mid laner, Splyce veteran Kasper "Kobbe" Kobberup, as well as Tore Hoel "Norskeren" Eilertsen, former Team ROCCAT support that attained a sizeable fan following due to his aggressive playstyle. There’s some undeniable potential within this Splyce line-up. It’s hard to really predict how far they will go, but a playoff spot is definitely within their reach. They could become a very tough challenge for anyone in the LEC, especially considering the fact that they have a couple of exceptional veterans like Vizicsacsi, Xerxe, and Kobbe, as well as two promising young talents in Humanoid and Norskeren. But where this roster will probably shine the brightest is the team fighting department. None of these players are particularly early game oriented, so they’ll probably farm things out early and wait for the mid and late game. That said, once they reach the tail-end of the game, they’ll go online thanks to their team fighting prowess. Vizicsacsi’s and Kobbe’s team fight impact is phenomenal (regardless of the meta), and if they manage to sync up with Humanoid they could potentially upset the LEC status quo, at least in Spring. Where does one start, when talking about Schalke. 2018 was the year when Schalke kind of cemented their “gatekeeper” status in the region, and while they did leave a mark, it wasn’t enough to get them to Worlds. They had brusts of brilliance, moments when they were able to go blow-for-blow with the very best teams in the region and even surpass a good number of them, but they were simply unable to maintain a consistent level of play throughout the year in order to be deemed as a top-tier contender. There were a lot of question marks when it came to their players as well. Vizicsacsi is a known quantity, but he was mostly relegated to tank duty, Maurice "Amazing" Stückenschneider was serviceable to a certain extent but he often didn’t play to the best of his ability, Erlend Våtevik "Nukeduck" Holm was pretty solid but nothing exceptional, and Elias "Upset" Lipp and Oskar “Vander” Bogdan — while very solid in their own right — simply couldn’t clutch things out when it mattered the most. 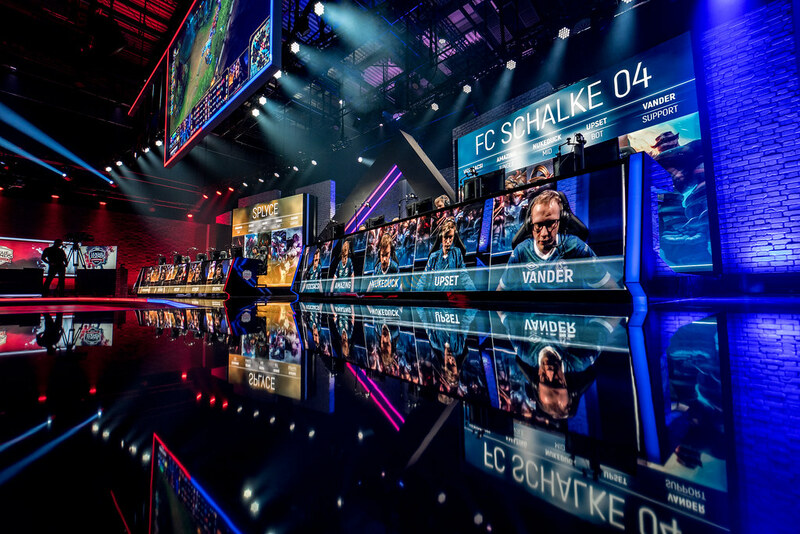 Much like Splyce, Schalke 04 are entering 2019 with a very capable roster. A lot of fans were worried when Schalke basically released all of their players (except Upset) into free agency, but they actually managed to upgrade their starting line-up, at least by a bit. Andrei "Odoamne" Pascu, Jonas "Memento" Elmarghichi, Elias "Upset" Lipp, and Lee "IgNar" Dong-geun are all proven performers. We’ve seen them dominate at the highest level of play at one point or another, and perhaps above all — they’re all aggressive players. They don’t want to wait for the ultra late game in order to determine the outcome of the game. They’re confident, they’re mechanically gifted and they want to dominate. While Odoamne did have a pretty underwhelming year, he was paired with four players that never wanted to go in, that never wanted to engage unless they had a sizeable gold lead. That eventually became their downfall, and you could see Odoamne’s frustration. His “random” deaths and engages were basically just a by-product of his willingness to make the winning play for his team. In short, it was a bad fit. But this time around, he has Memento by his side — one of the best performing junglers in the region that was stuck on a team that couldn’t do much. He was their biggest catalyst and when he attained leads for ROCCAT, they actually had a chance. He’s a highly intelligent jungler that’s capable of playing both tanks and carries, and he seems to be the perfect fit for Odoamne, at least on paper. The only question mark is their new rookie mid laner — Felix "Abbedagge" Braun. While he’s certainly capable and fairly experienced (former Royal Bandits mid laner), his performance against the likes of LEC mid laners could become the difference between Schalke 04 being a top-tier team or a gatekeeper. While he did attain success in the Turkish region, the LEC is a different kind of beast entirely. In any case, they have a ton of potential. They should, by all means, be able to reach the playoffs, but how high they will rank when all is said and done is impossible to predict. Speculating how well this Origen line-up will do is a pretty thankless endeavour. On paper, they’re a very interesting team. Four experienced veterans, multiple shot-callers, and a young rookie talent that managed to shine on a bottom-tier team. That, at least in theory, seems like a recipe for success. But at the same time, they’re a team that’s filled with veterans that are in the twilight of their careers. Jonas "Kold" Andersen essentially peaked with Splyce, Nukeduck hasn’t been a top performer for years now, and Alfonso Aguirre "Mithy" Rodríguez had the worst year of his career with Team Solo Mid. They’re entering 2019 with failure in the rearview mirror, and they could, by all means, reach the top once again but you shouldn’t bet on it. With the exception of Barney "Alphari" Morris, this Origen line-up doesn’t have a Top 5 player within their ranks, and that’s a problem. Shot-calling can only get you so far when it comes to competing with the very best, and while this is a highly fascinating roster on paper, they lack the oomph that’s necessary in order to make a strong run in a region that’s packed with talent. They have experience on their side, but they simply didn’t seem as resilient as their peers when it came to going for that last push and leaving a mark in 2018. While it’s unfair to judge them solely on their performance from this year, the region as a whole upgraded and they probably won’t be able to keep up. Could Origen reach the playoffs? Absolutely, but they could also crash and burn. It’s not that they’re a volatile team by any means — they’re not. But they lack the mechanical prowess and the playmaking potential that’s necessary in order to upset the status quo. They will surely be a fairly strong team, but whether or not they’ll make playoffs is a completely different matter. It all depends on how well they mesh together, and whether or not they’ll be able to compete with the likes of Splyce and Schalke 04, two other “middle-of-the-pack” teams of similar predicted strength. In any case, don’t fall for the hype around Origen. At eight place, we have Rogue. They’re entering the LEC as a brand new organization, and while they don’t have the most insane roster in the world, they have a fairly serviceable line-up. They’re not going to blow your mind or anything, but they don’t have to — especially not in their very first year in the LEC. Perhaps the best part of Rogue is their staff — with Simon "freddy122" Payne as their head coach and Edward "Edward" Abgaryan (of Gambit fame) as their assistant coach, they have two very capable veterans of the League scene leading the way. Freddy, in particular, has always been able to do wonders with somewhat mediocre rosters, and this Rogue lineup shouldn’t be an exception. Furthermore, when you take a look at Rogue’s starters, they have a pretty solid mix of players within their ranks. A fairly solid top laner in Kim "Profit" Jun-hyung, a fantastic top-tier jungler in Mateusz "Kikis" Szkudlarek who's coming fresh off of Vitality's solid run at Worlds, former Splyce and Misfits mid laner Chres "Sencux" Laursen, as well as a serviceable bottom duo consisting of Martin "HeaQ" Kordmaa and Kim "Wadid" Bae-in. This roster should, by all means, be a lot better than most people expect. They're the underdogs. Very capable underdogs, as well. They don't have any pressure to perform, and no one is really expecting anything from them. History taught us that teams with nothing to lose have the potential to upset, and with Rogue it should be no different. If Chres "Sencux" Laursen steps up, they could have a couple of win conditions but it's still too early to tell for sure. In any case, don't count Rogue out. While they won't reach the very top of the region, they should be more than able to compete with the likes of Origen, Splyce, and Schalke 04. And finally, we have two teams that, by all accounts, shouldn’t be able to do much in either Spring or Summer. It’s not that they’re bad or incapable of winning anything, but rather the rest of the region is so much stronger in every conceivable way. The rosters that both SK Gaming and exceL Esports are fielding are essentially placeholders. They’re solid enough to make you tune in and watch (at least from time to time), but they’re not expected to perform exceptionally well, or to even reach the playoffs. Anyone saying the opposite would be delusional, especially in a year when the region reached colossal heights on the international stage. These rosters also field a lot of young, unproven talent (as well as a couple of grizzled veterans) and they deserve a fair amount of praise for trying to develop the superstars of tomorrow. At the same time, in doing so, they’re basically giving other teams a competitive edge. These rosters aren’t bad per se, but they don’t have the same amount of potential as the teams above them. They could perhaps upset here and there, but when the dust settles, seeing either SK Gaming or exceL Esports above eight place would be a mind-blowing surprise. Both teams have a solid core, and they should be able to improve over the course of the regular season, but they should be nowhere near the Top 6 in both Spring and Summer. The Spring Split is the time of the year when crazy upsets tend to happen. When it comes to the LEC, more than half of the teams competing are either fielding completely new rosters, or underwent serious roster shuffles. They’re all starting from scratch, so it’s somewhat of a level playing field. In other words, anything can happen in the first couple of weeks, especially considering the fact that teams are competing in a volatile Best of 1 format. Teams need the Spring Split in order to develop cohesion, and you can expect a lot of twists and turns when it comes to the standings, at least in the very beginning. As always, make sure to watch as many LEC games as you can because things tend to shift and change on a fairly regular basis. These are just the preliminary power rankings, but how things will shake out when the Spring Split begins is completely up in the air. We can deduce a lot of it based on what we know, but there’s always the question of how quickly teams will sync up and adapt when it matters the most. Franchising should usher an exciting new era of the LEC. If you’re a fan of the region, or just high-quality League of Legends, then you should be in for a real treat come 2019. The 2019 LEC Spring Split starts on January 18th, and you can watch on both Twitch as well as YouTube.